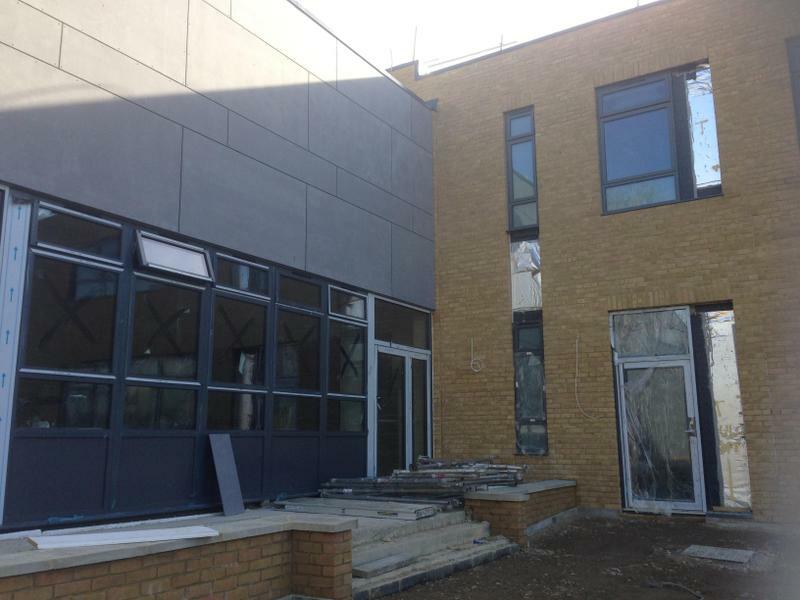 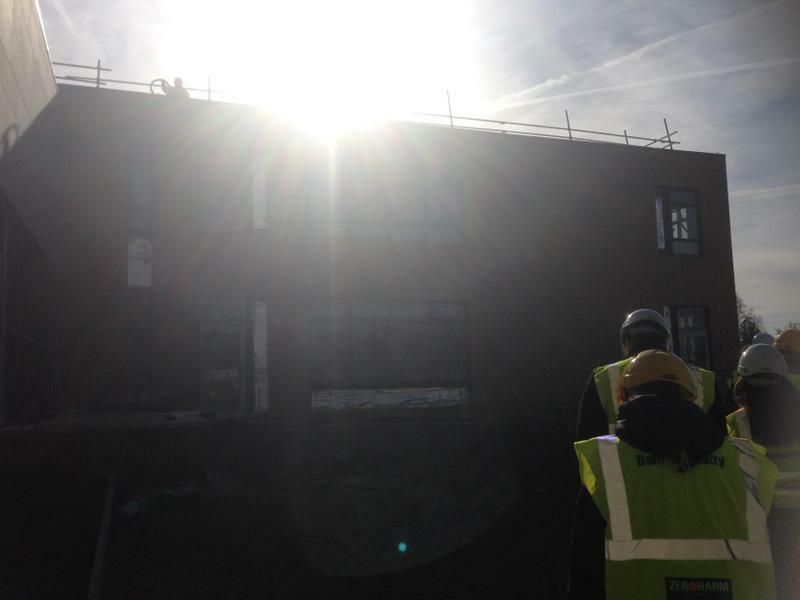 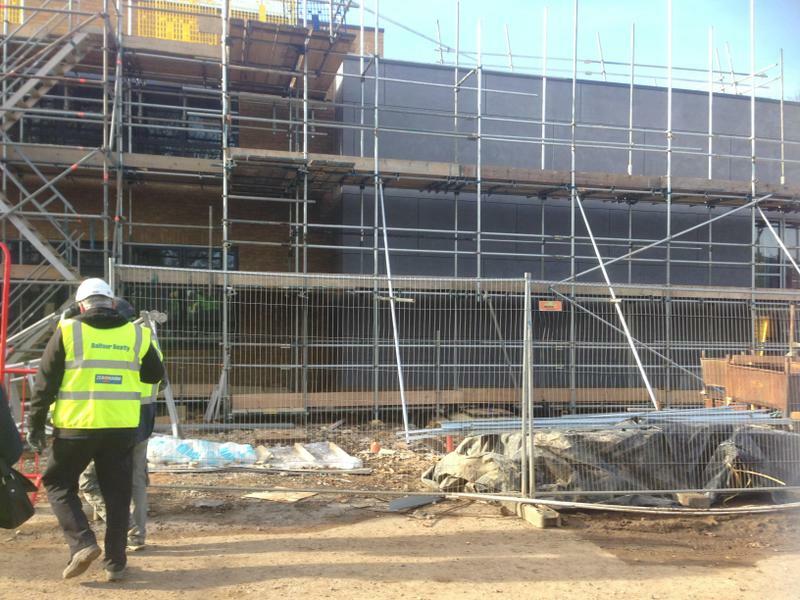 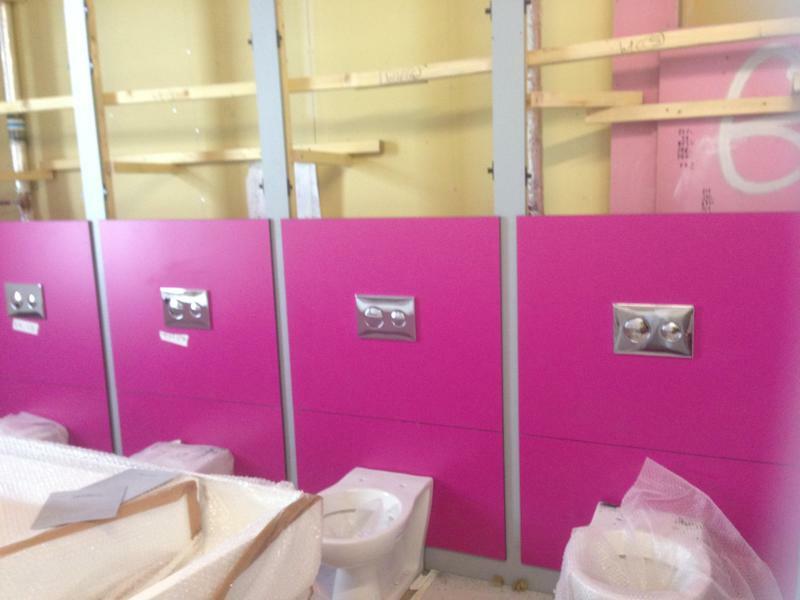 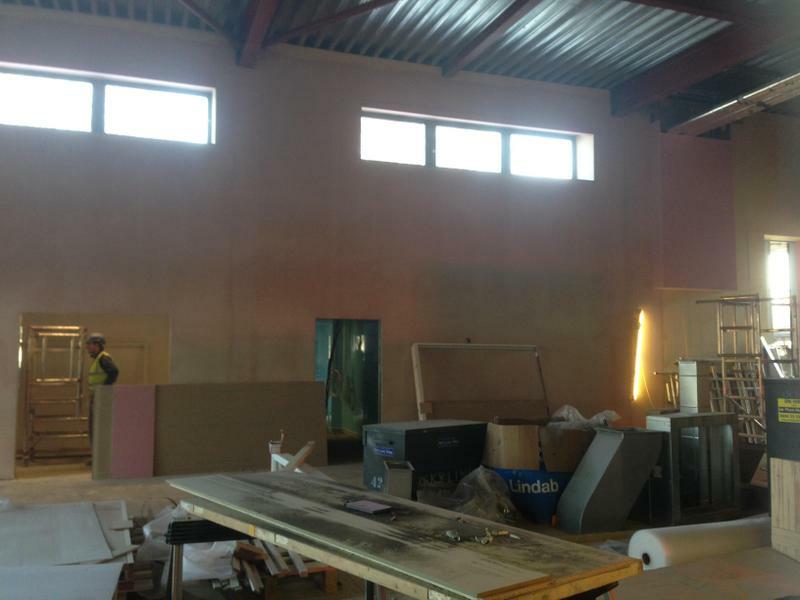 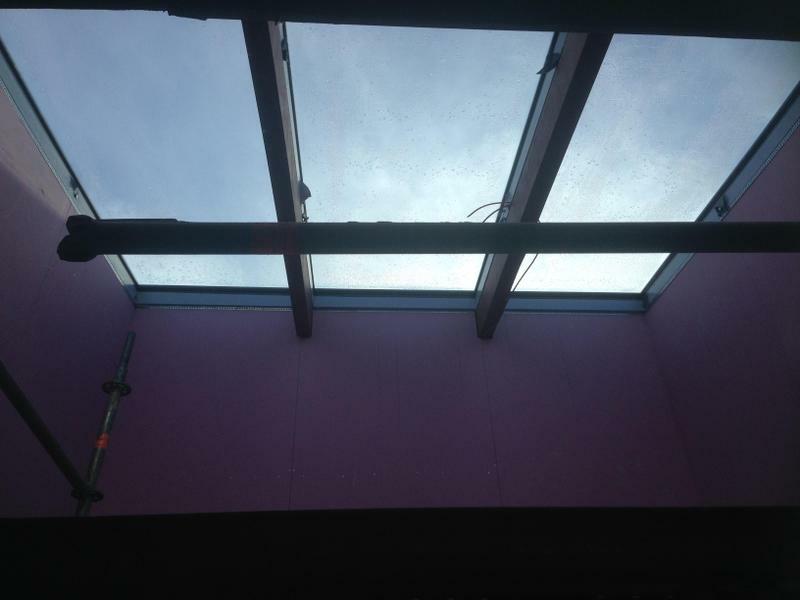 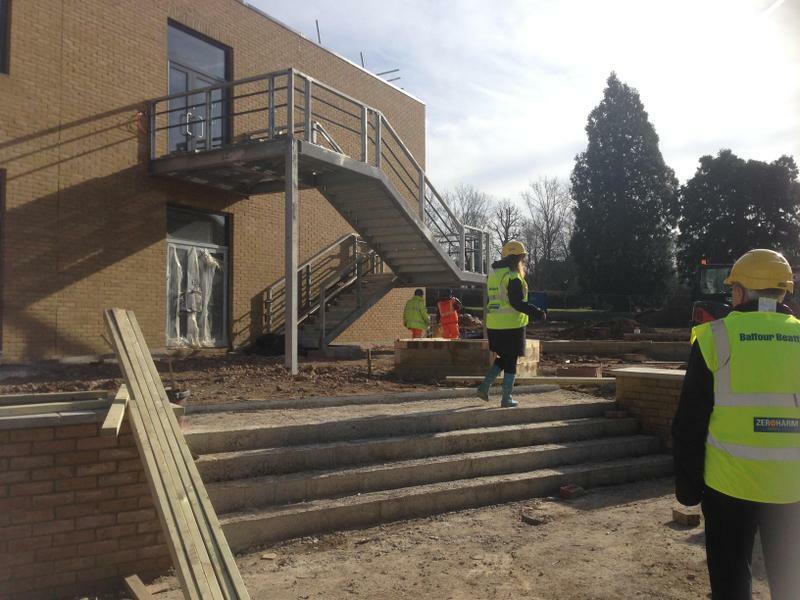 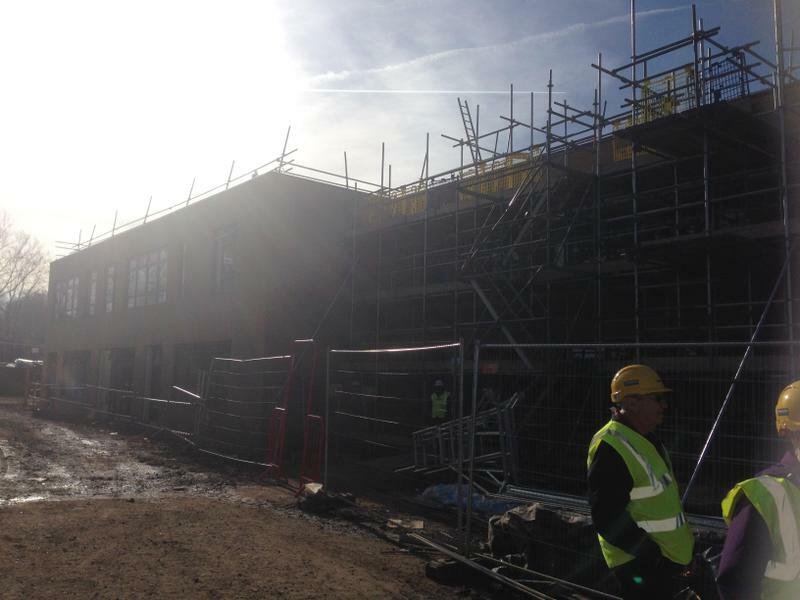 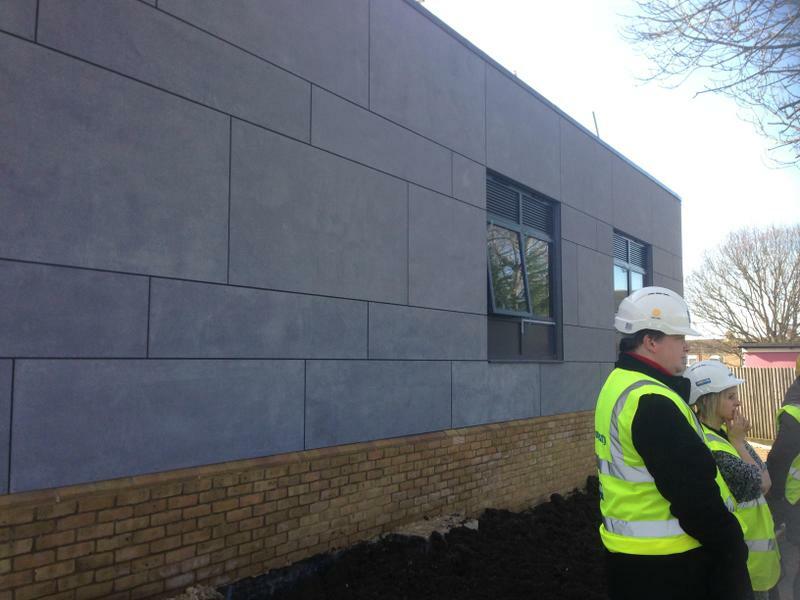 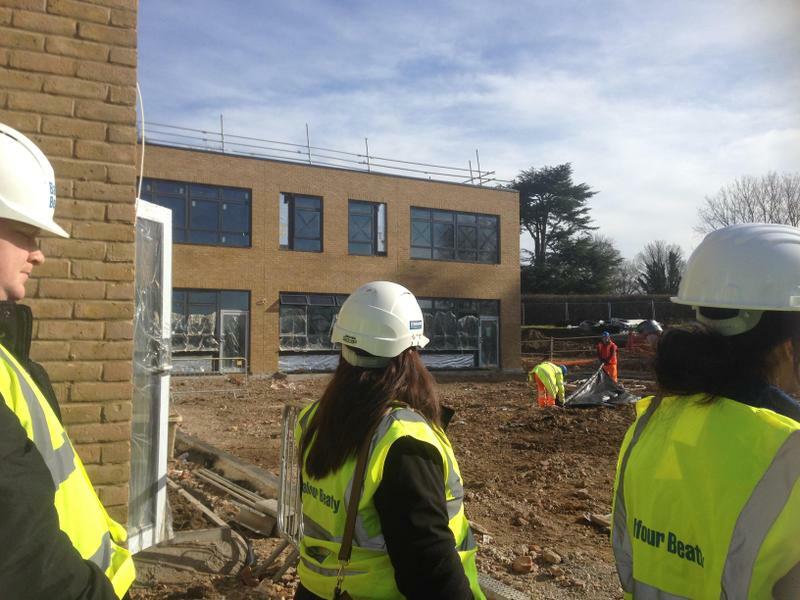 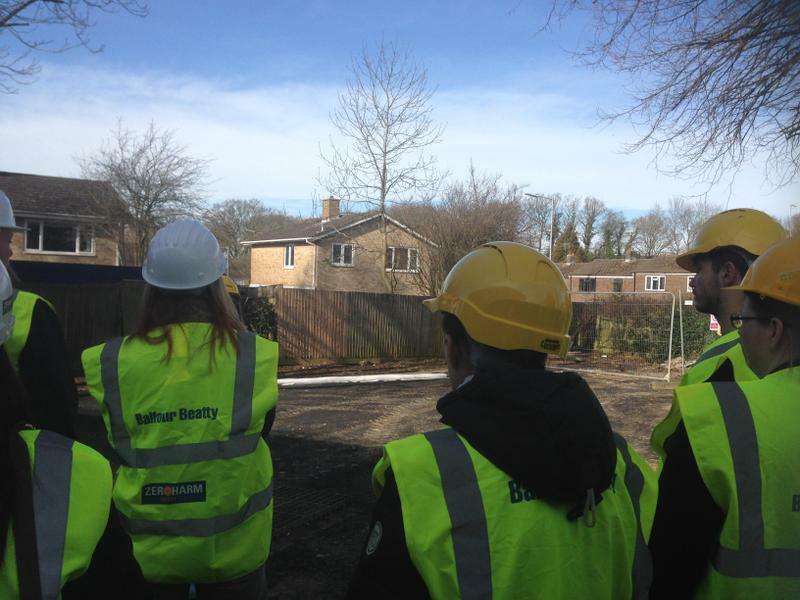 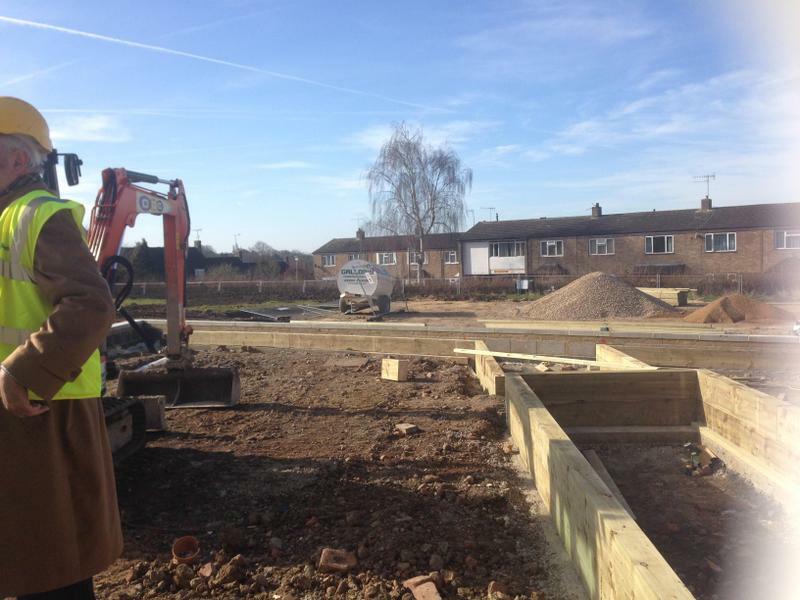 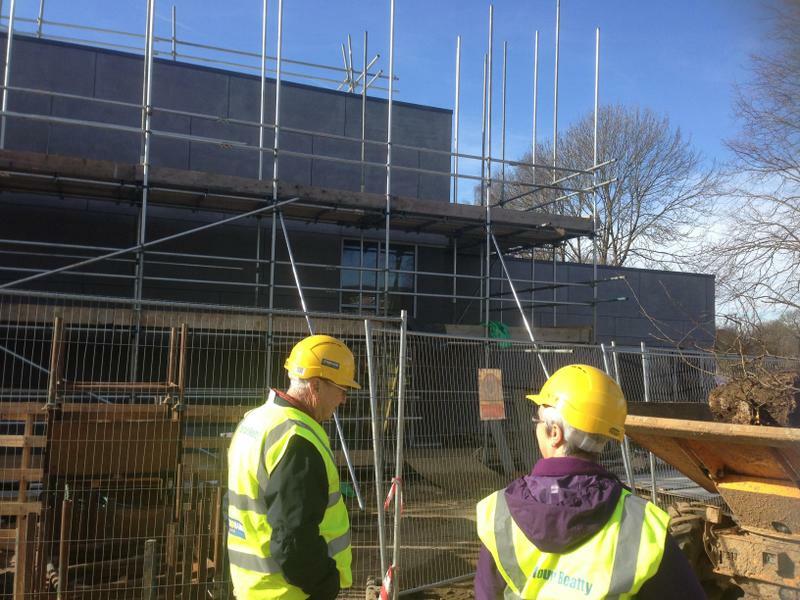 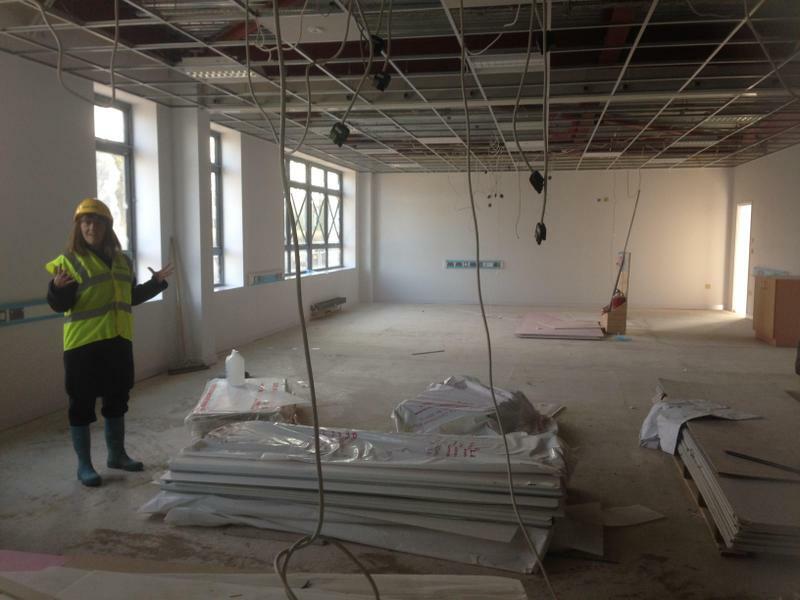 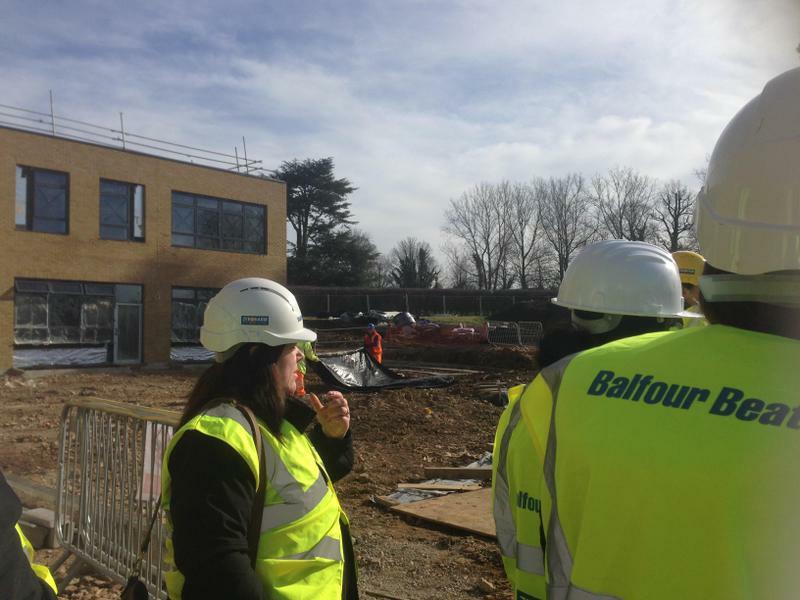 On Thursday 5 March parents were given the opportunity to visit the Jupiter Drive building site and see the progress of the highly anticipated Jupiter Community Free School building that their children will soon be occupying. 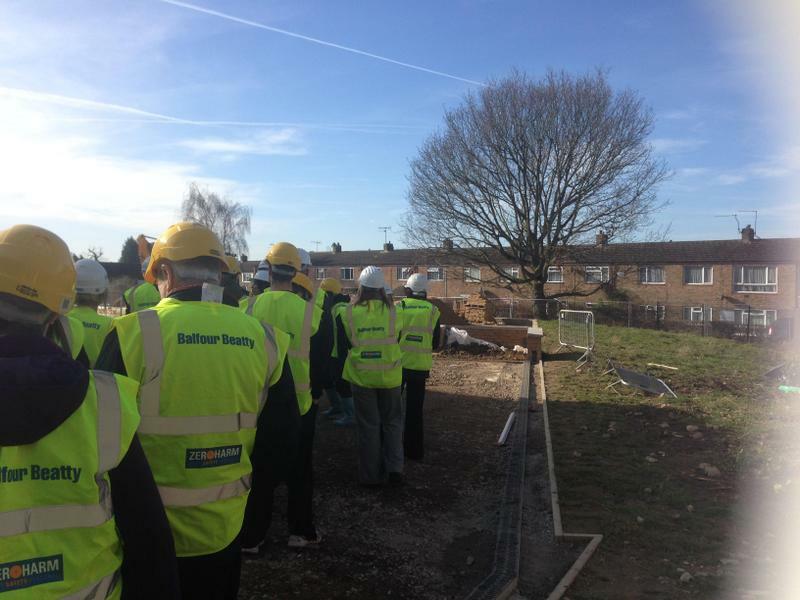 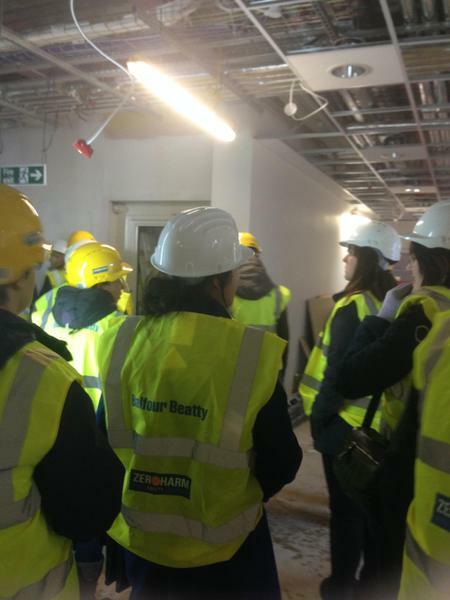 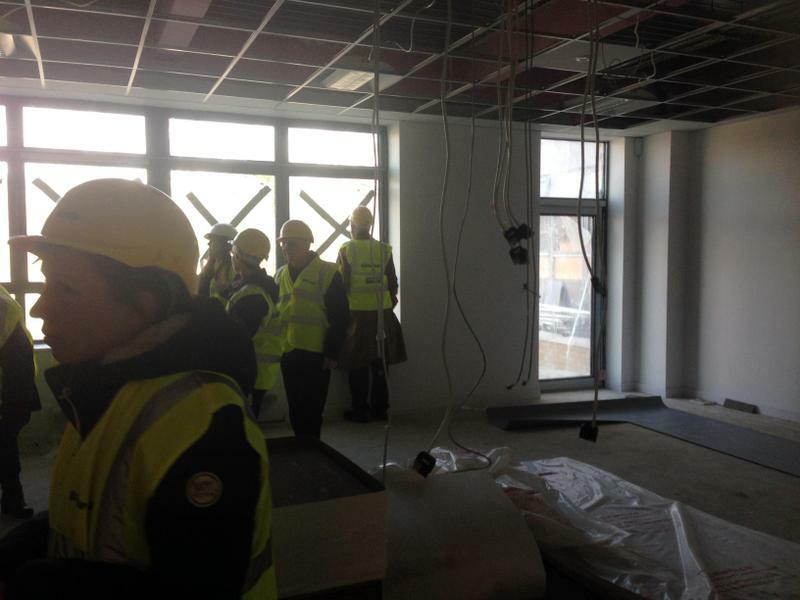 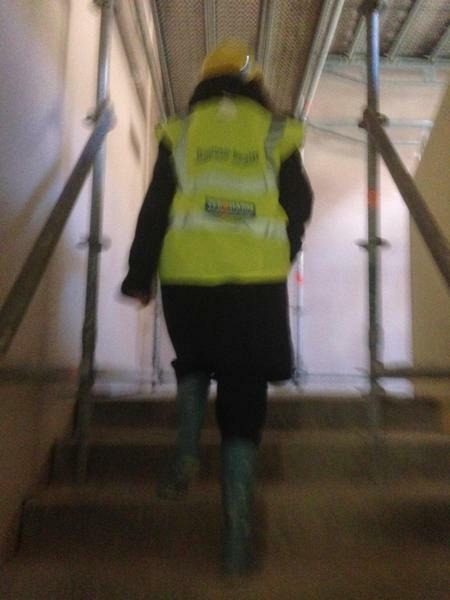 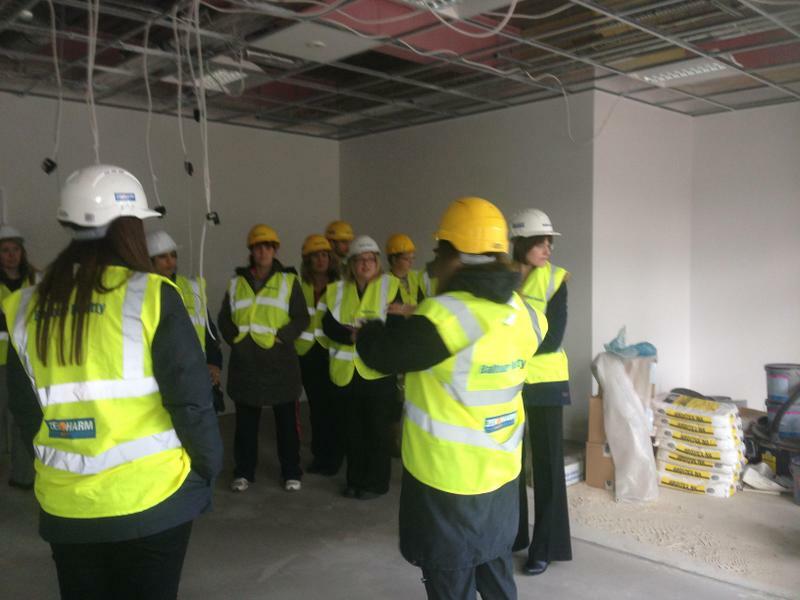 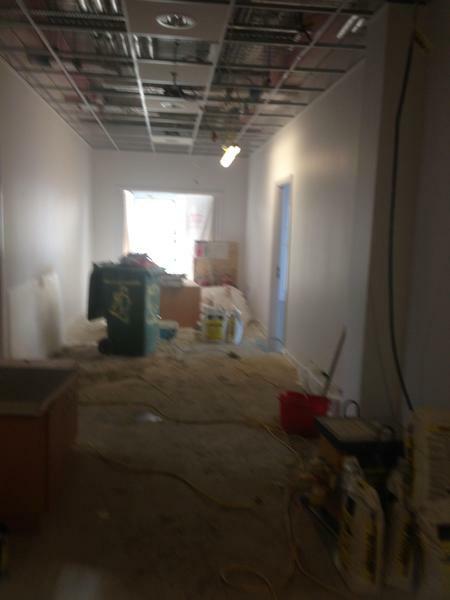 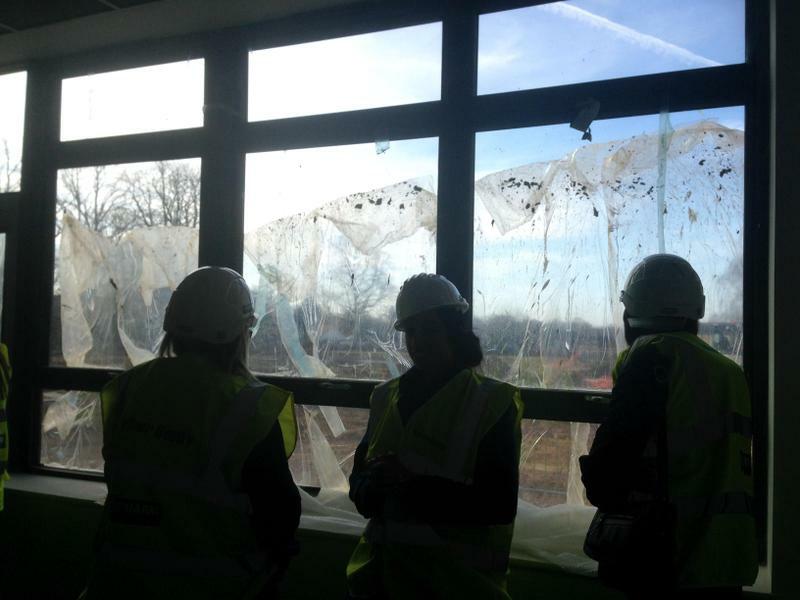 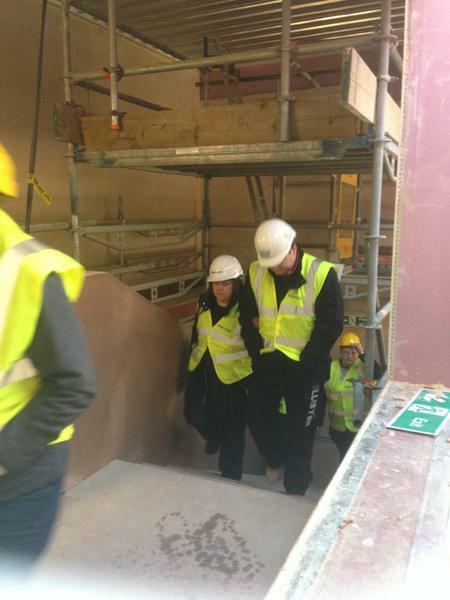 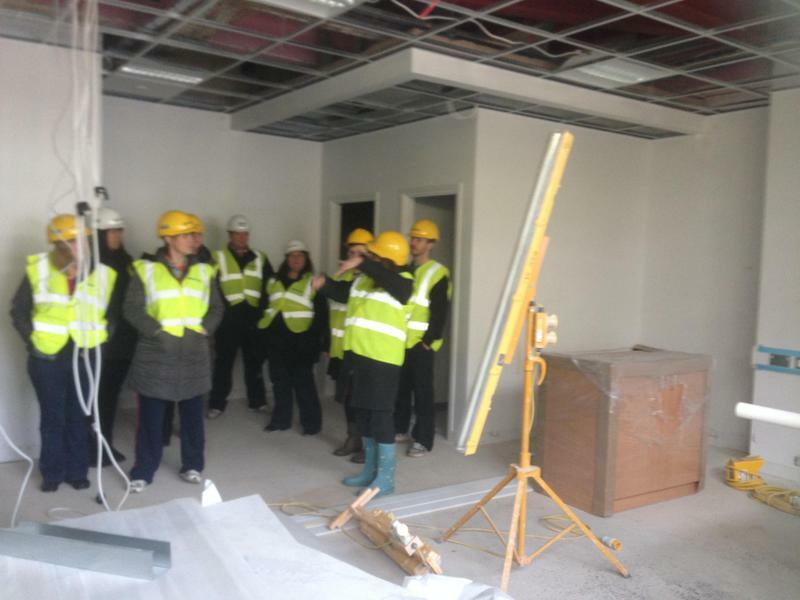 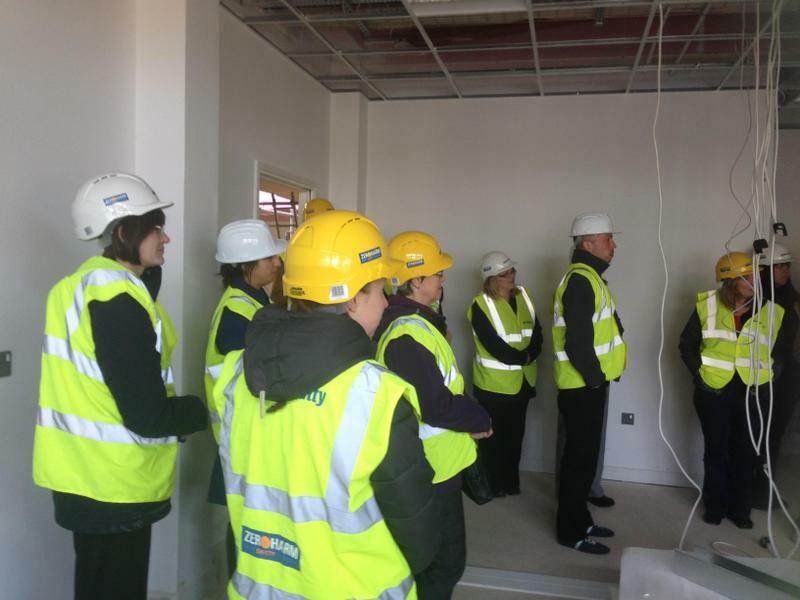 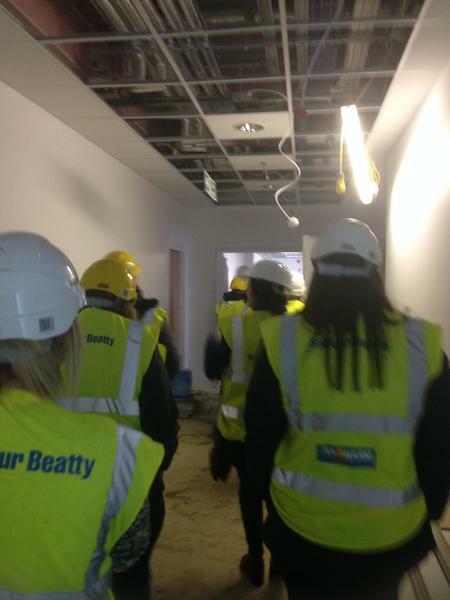 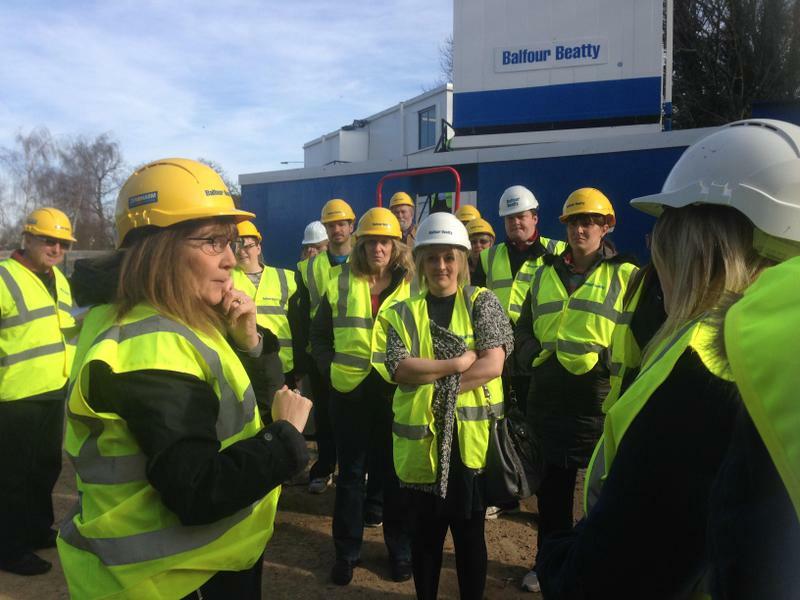 Parents joined Dr Sue Attard and Miss Green in touring the building along with Balfour Beatty Foremen Kevin and Shal. 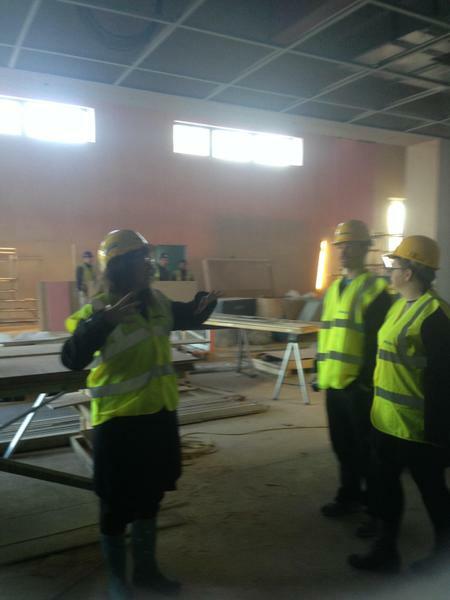 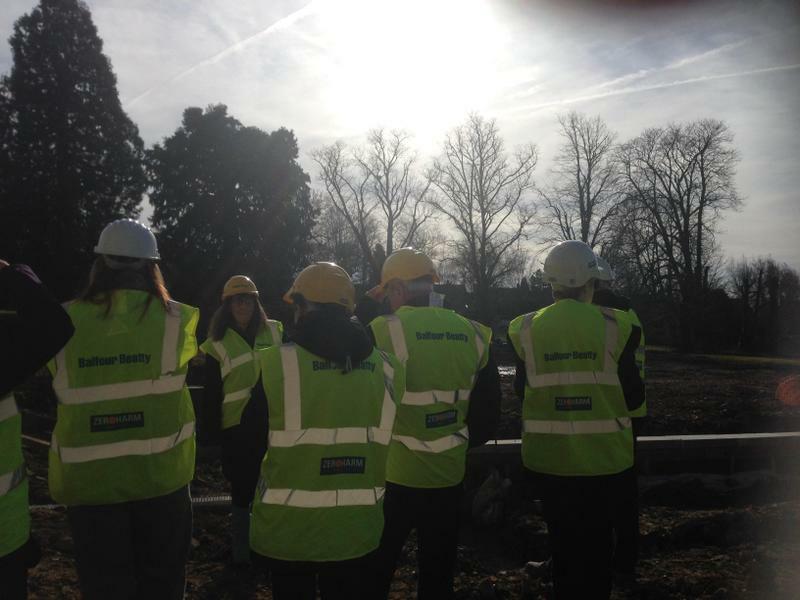 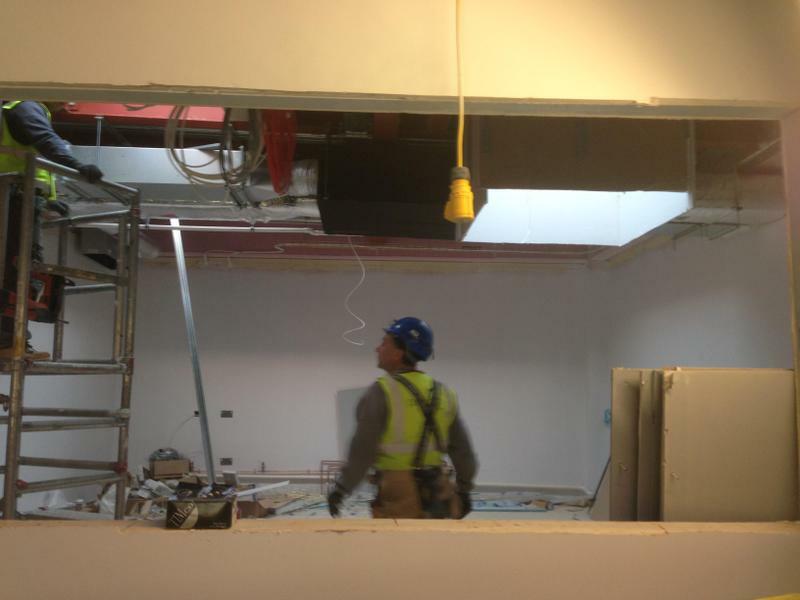 Everyone was excited to dress up in hard hats and high-vis vests especially as Miss Green was there with a camera capturing the moments. 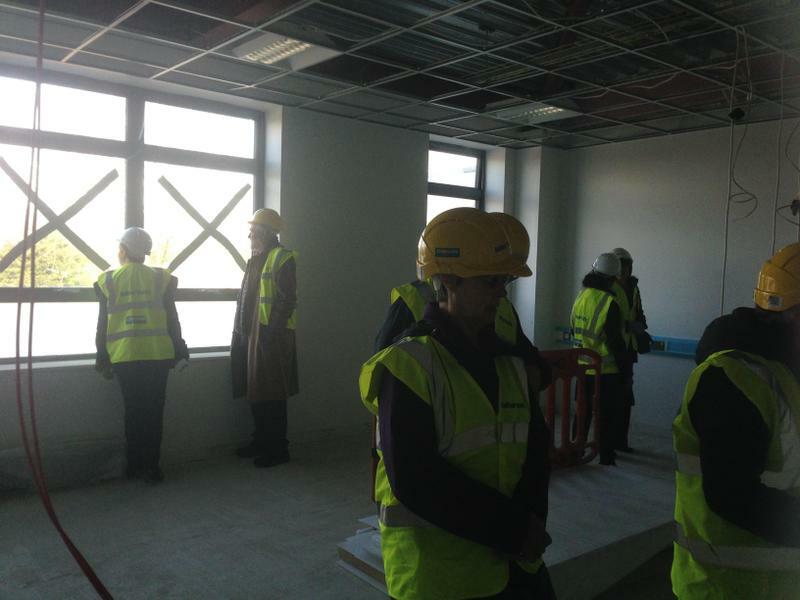 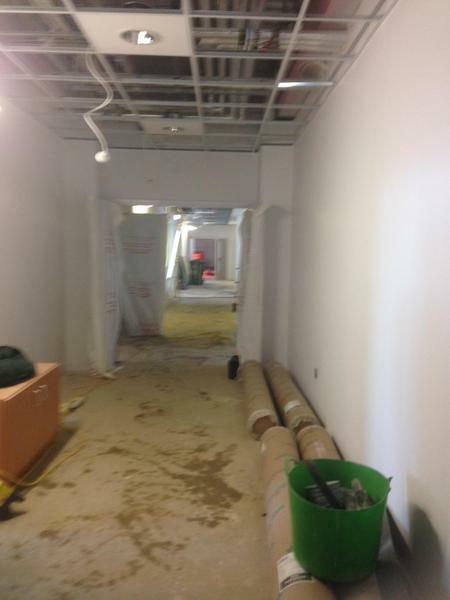 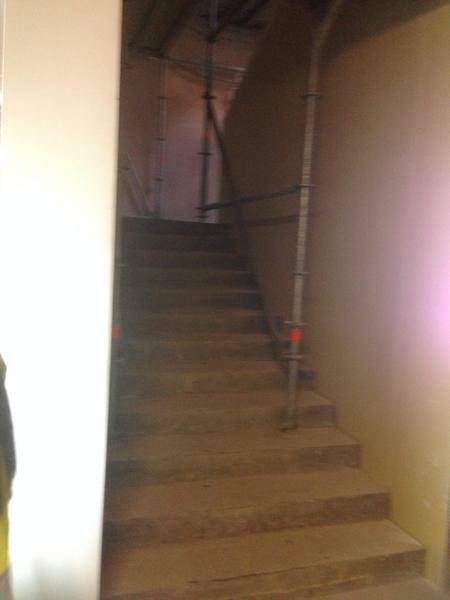 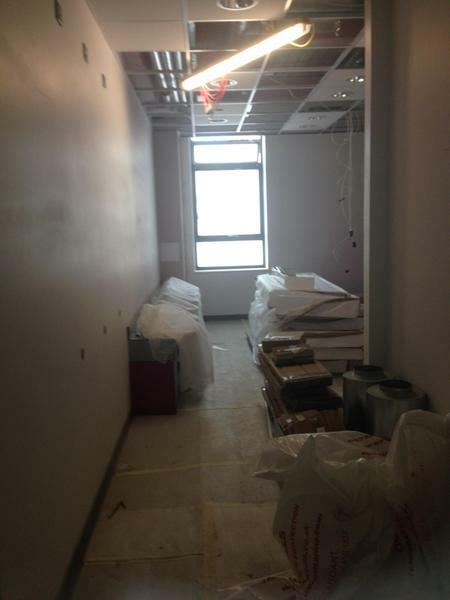 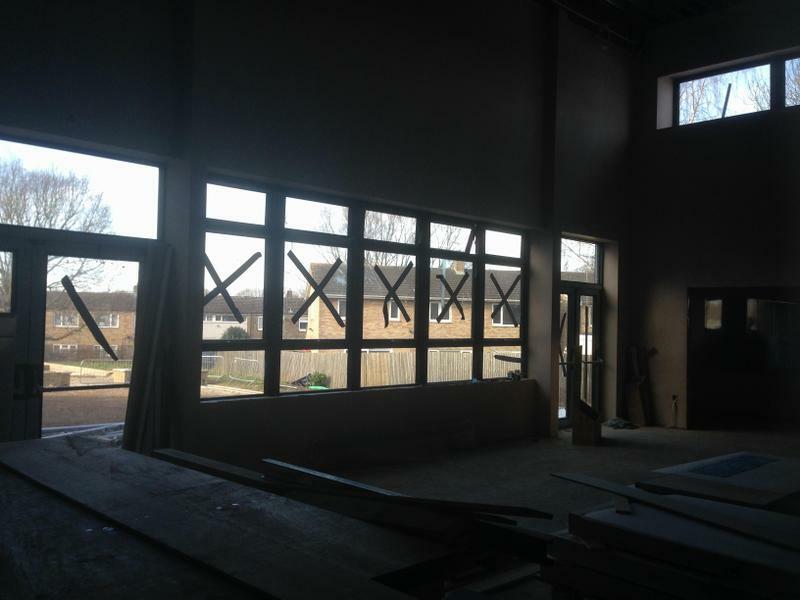 The school building was amazing with so many wonderful features and huge amounts of space. 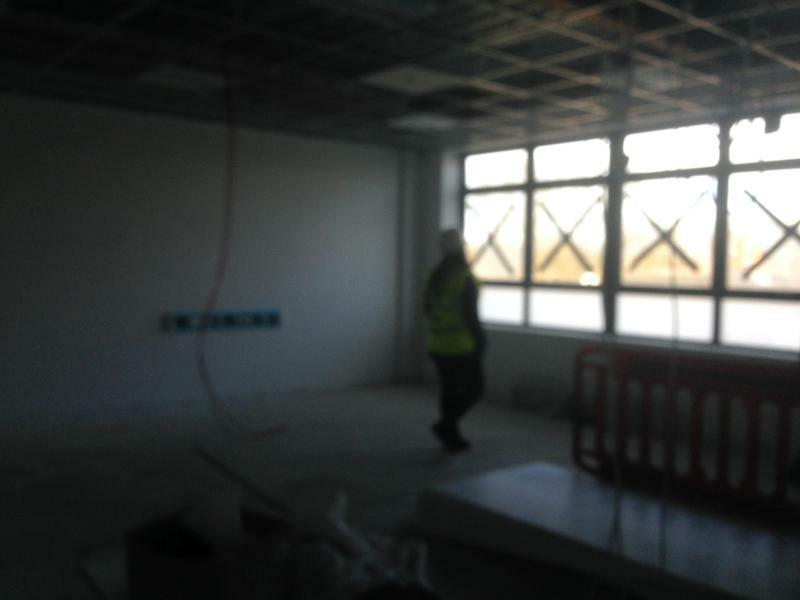 It was so light and open with windows everywhere creating a lovely feeling of warmth. 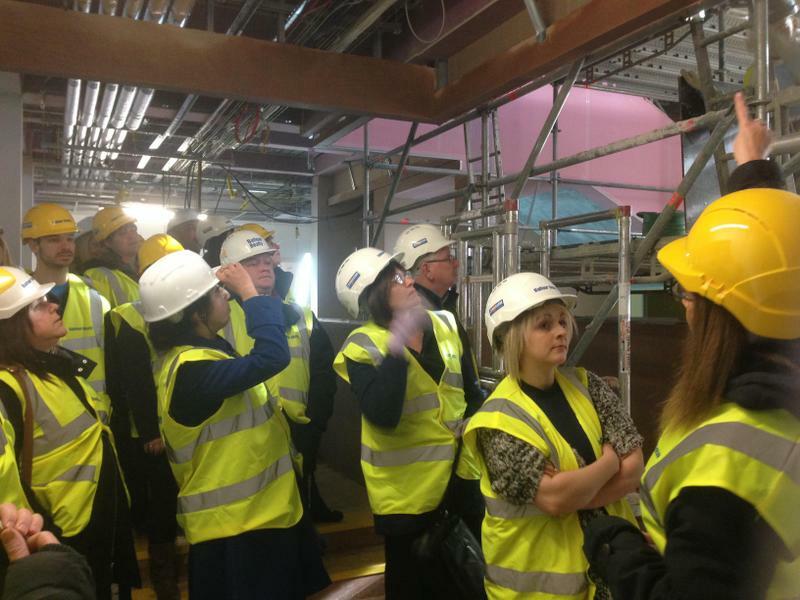 There were lots of ‘WOW’ expressions on faces as Dr Attard walked parents through the classrooms, toilets, studio, sports hall, domestic science room, Library and ICT suite. 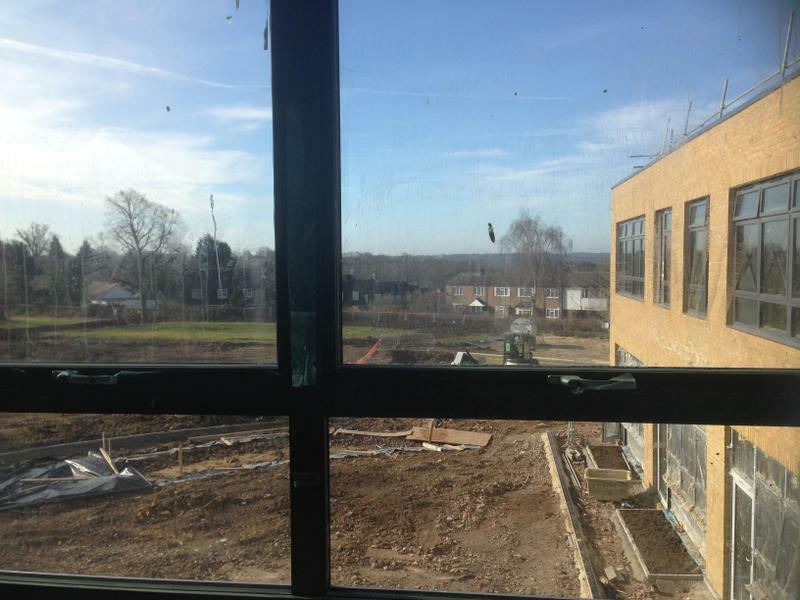 The outdoor space was just as impressive and space aplenty for the children to play, investigate, explore and run. 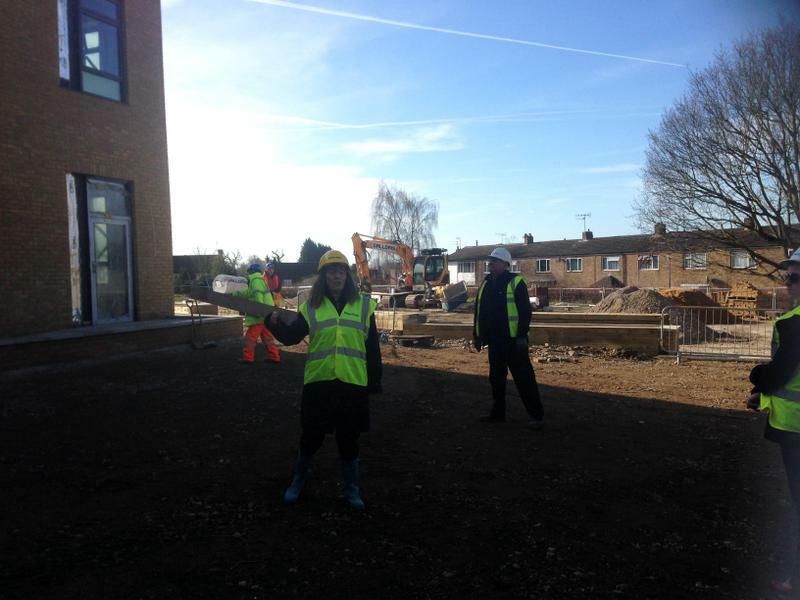 Parents were very excited to be told the school will have a parent drop-off/pick-up car-park that no other school in the area offers.